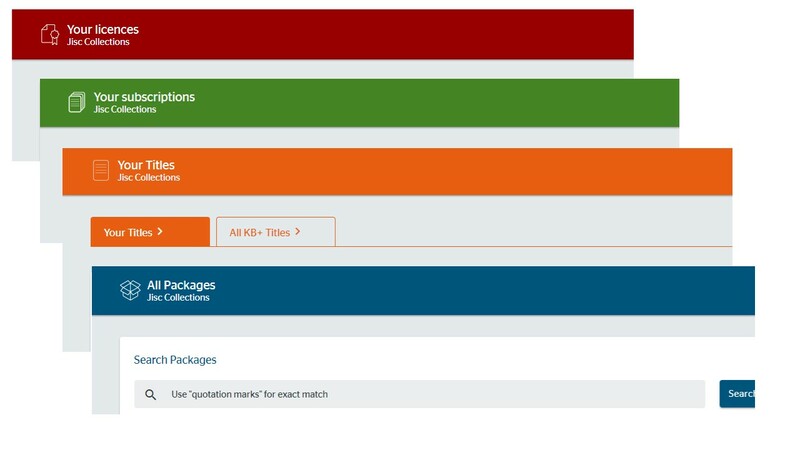 We are very excited to share the new KB+ user interface providing librarians with a clear environment where local data (subscription, usage, licence, finance and entitlement) can be stored, managed, exported and compared. We would also like to thank all those involved in developing our new more intuitive interface including the valuable contribution from 50 HE librarians (current and non-users of KB+) whose feedback has been essential towards the collective success of this project. Improved visual clarity introducing clear icons, colour based navigation and simplification of the terminology. Displaying key licence properties alongside subscription information. A goal oriented dashboard with an emphasis on KB+ expert tools, primary user tasks, and surfacing relevant content. We are looking forward to hearing your feedback on the new interface. You can contact us either via the green support button in KB+ or emailing us at knowledgebaseplus@jisc.ac.uk.